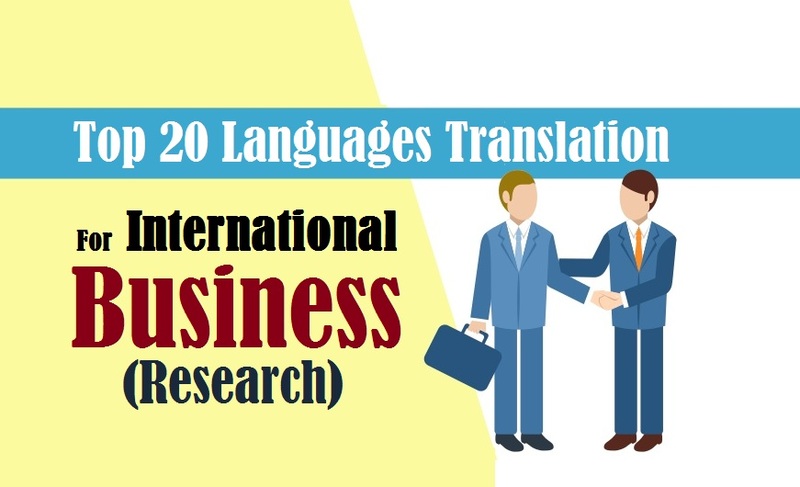 Highly trusted Top 20 Languages Translation Services for International Business by 1000+ certified translators, who deliver exceptional translation for the most common languages spoken in the world in 200+ language pairs. We are supported by professional top twenty language translators, who deliver accurate translation services in New Delhi NCR India UAE Chennai Mumbai Hyderabad Bangalore Noida Pune Chandigarh Amritsar Ghaziabad Kolkata Gurgaon and worldwide countries. Being an ISO 9001:2015 certified translation company for top 20 spoken languages, we work for a multiple of industries, such as real estate, media, automobile, legal, mining, medical, technical, life science, oil & gas, hospitality, fashion, aviation, retail, tourism, and all public, government & private sectors. In short, we are the ideal platform that can help you with comprehensive translation solutions. Why Your Business Needs Translation? In the globalized world of today, you cannot really afford to neglect translation. Be it a start-up, large scale/ small scale business, non-profit organization or any global organization, you will need to get your documents translated for sure. Often most of the businesses target few of the popular languages spoken in the world. This way, they get an easy way out to cater to a larger proportion of the global audience. Through accurate translation, you can make way for international exposure and success and explore different market segments which were unexplored before. Since our foundation, we are serving global language solutions all around the world in a diverse language pairs. Hence, we can make international business expansion, quite easy for you. With accurate and quality translation, you will be able to touch the emotional chords of your target audience, and thus, would be able to gain a loyal customer base. All of these languages are high in demand these days. Thus, if you are planning to cater to a global audience, it is better to consider these languages at the very first. We assure that we’ll help you with authentic translation solutions for not just these languages, but also the other languages spoken around the world..! !